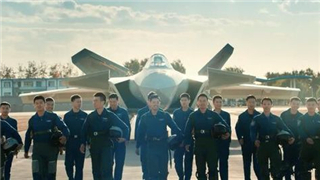 China recently released a promotional video to gather new recruits for the PLA Air Force. BEIJING, Jan. 9 (ChinaMil) -- The Conscription Office of the Ministry of National Defense of the People’s Republic of China recently released the Notice on Advancing the Preparation for the 2019 Conscription Campaign, setting up instructions for the enlistment campaign this year. According to the Notice, all relevant areas throughout the country should accomplish this year’s recruitment tasks effectively and agreeably. The national conscription network will begin operation on January 10th for online military service registration, enlistment registration, policy consulting, and other affairs. The Notice also calls for maintaining the trend with college students as the primary source of enlistment, endeavoring to achieve the goal of significantly enhancing the overall quality of new recruits, and steadily increasing the proportion of college graduates, so as to provide more quality new recruits for building a world-class military.